Dear Reggie, I am a retired middle school teacher who is so excited that I can barely control myself! We just netted $47,289.67 on our first deal! Thank you so much, Reggie. We are well on our way to financial freedom." We just completed another abandoned property flip! We never thought that a $0.44 investment (stamp) would put $32,000 in my pocket, solve a seller’s personal challenge, increase property values and end blight in the inner city? Thanks again Reggie, for giving me my life back. Dear Reggie, I just wanted to thank you for teaching me how to make money with abandoned properties… I just closed my first deal and was able to make $27,000 with only $100 of my own money and absolutely no risk. I put a house under contract with a purchase price of $219,000…I sold the house for $246,000 a few weeks later…I walked away with a check for $27,000! Thanks again. When I heard Mr. Brooks was training beginning investors, I jumped in. As a result of his abandoned property program, I bought an investment property and flipped it in four months for a $95,000 profit. My second deal earned me $70,000 in less than a year. 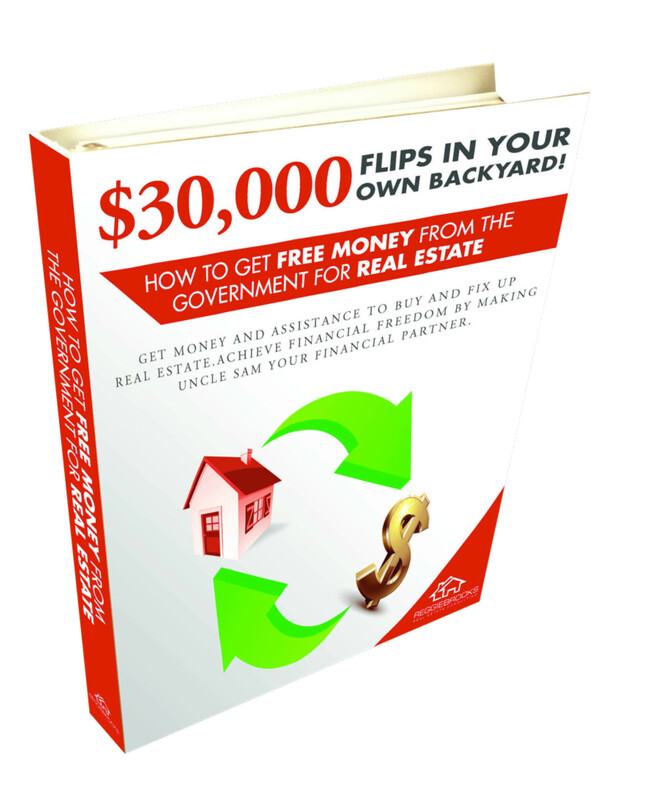 30K FLIPS IN YOUR OWN BACKYARD! 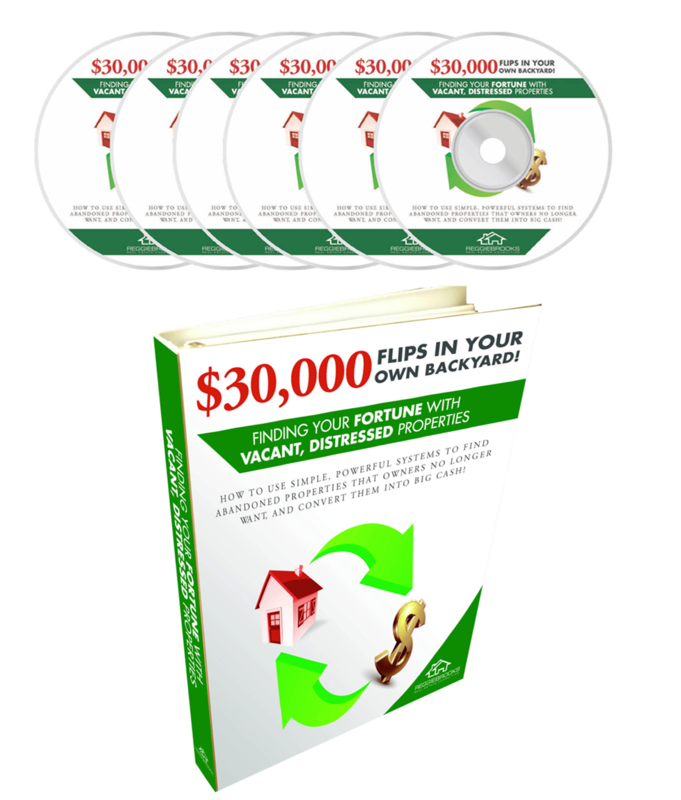 How To Use Simple Powerful Systems To Find Vacant, Distressed, Abandoned Properties That Owners No Longer Want And Convert Them Into Big Cash You Will Be Amazed! 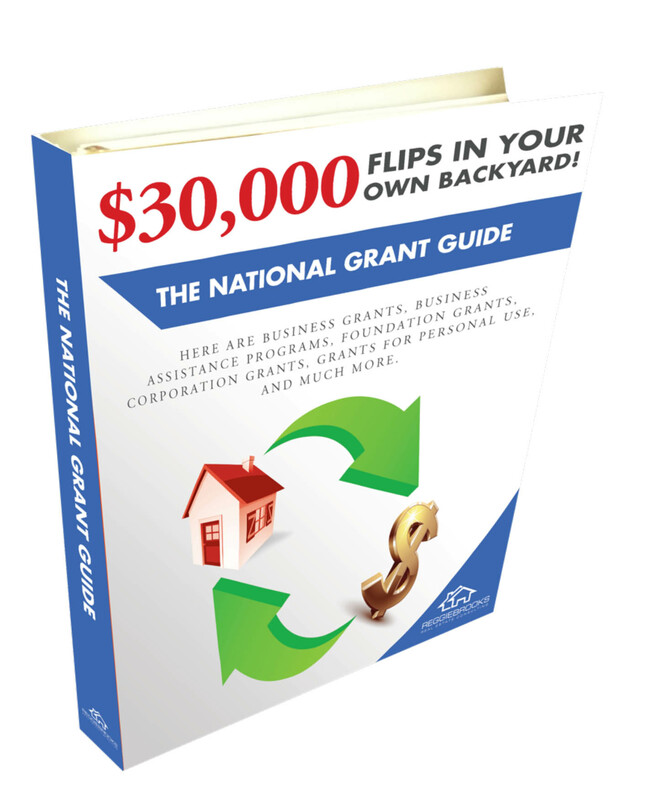 There Are 30K Flips right There In Your Own Backyard! 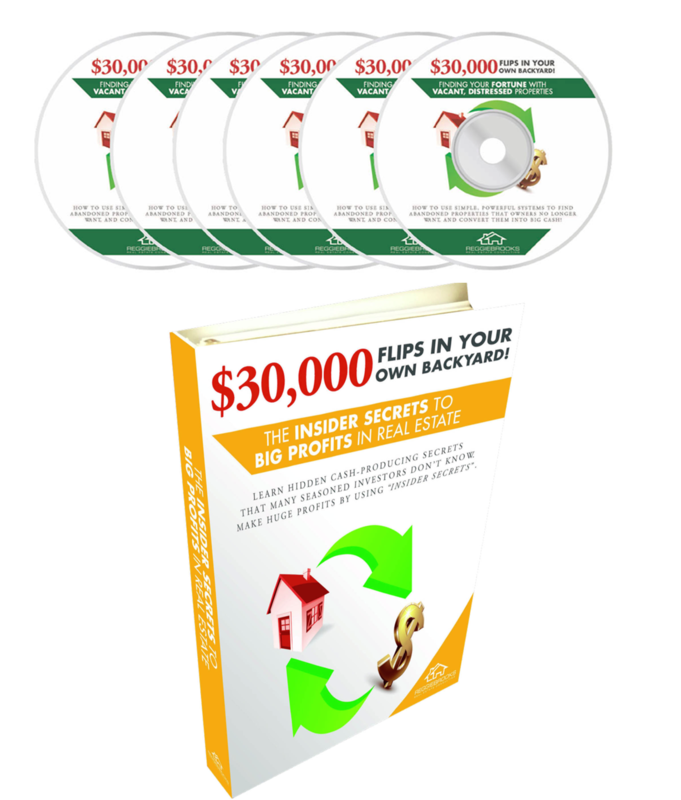 Learn Hidden Cash Producing Secrets That Many Seasoned Investors Don’t Even Know. Low-interest loan, subsidies, even grants! Get Money To Buy And "Fix Up" Real Estate. CREATING WEALTH WITH ABANDONED PROPERTIES! The Canadian Supplement - Powerful Systems To Find Vacant, Distressed, Abandoned Properties That Owners No Longer Want, And Convert Them Into Big Cash! Claim your free gift from Reggie, "A Bonus for The Readers of The Reggie Brooks Story." Fill out the form on the next page and you will receive "How to Create Massive Wealth in Real Estate!" I'll see you at the top!